Hear What People Are Saying About ZTCA! ZTCA is an academy that employs people who care about the students and who have a genuine concern for their overall well-being. I witnessed firsthand teachers and administrators who went above and beyond the call of duty to serve the students of ZTCA. As a parent of two former students of ZTCA, I found myself volunteering and giving back to the school in many ways. Both my wife and I volunteered in the classroom, for the career fair, science fair, as well as the end of the year celebration. Because of ZTCA's educational expectations and the foundation my children received there, they both are well adjusted and perform far above the grade level for which they are currently in. ZTCA assisted me in shaping and molding my children into well mannered, respectful young children who are confident and prepared for the challenges they face. The academic expectations of ZTCA are second to none. I remember my years at Zion Temple Christian Academy very vividly. I remember the elaborate Christmas productions, tag on the playground, classroom devotions with stomping and actions; of course, learning blends and how to read, multiplication and division tables, the parts of speech; and much more, all in an environment where I always felt safe, welcomed, and comfortable. 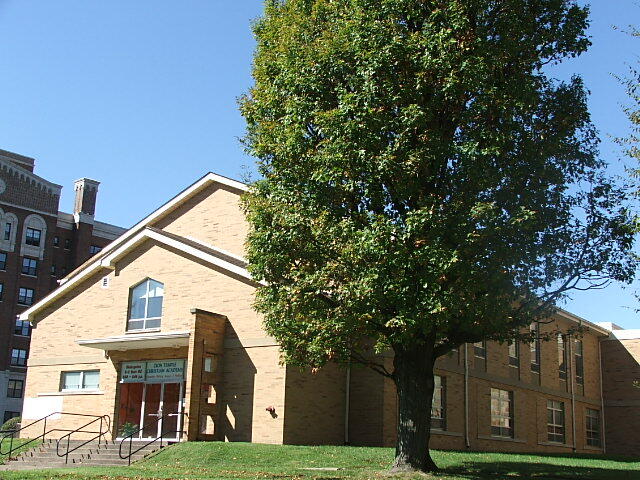 Zion Temple Christian Academy played a huge role in surrounding me with people of faith who care about my education and growth as an individual. Many of the teachers made a direct impact in my life just by being able to talk to them and seeing how they lived their lives. From day one, my pre-school teacher had a big influence on my life. Even when I moved up through the grades, I continued to visit her as often as I could. She encouraged me to pursue my goals in education, extracurricular activities, and she inspired me in my relationship with God. One of most significant aspects about Zion is that the teachers truly care. Throughout my years at Zion the teachers inspired me, helped me make decisions, and answered some of my tough questions. Even though I appreciated the Christian based education I received at Zion I really did not understand how blessed I truly was until I had to leave Zion and attend another school. At Zion, each teacher had a unique way of encouraging us with bible stories and discussions on various topics. In retrospect it is amazing how the teachers work God into every subject; integrating faith and science, faith and history or even in the way we learned arithmetic. School was more than the material we learned or the social scene; it is a place to expand your knowledge in every aspect of life. Looking back on my journey from kindergarten to now, it takes my breath away to see how far I have come. I look back and see people, moments, and opportunities all woven together beautifully bringing me one step closer every day to becoming the person God has created me to be. I owe a great deal of my God given accomplishments to the school that laid my academic and spiritual foundations, Zion Temple Christian Academy. My name is Michael Tucker and I attended Zion Temple in my younger days. From what I remember I enjoyed every day there. I remember learning all of the basics in education and also in Christianity. Coming back to Zion Temple made me realize that I started off here and I turned out to be in good shape. I hope and pray that the things that I received from this school can also be given to my younger sibling, Jerell Richardson, so that he can get a great understanding of what he can do to be the best that he can be. I know that he is in great hands here at Zion Temple. I currently attend Kentucky Christian University and plan on majoring in engineering. Before my daughter was able to attend school I wanted her to go to Zion Temple Christian Academy. I miss K5B. Sister Jones (now Kitchen) was her first wonderful teacher. I joined the teaching staff for 4 years and worked with Sister Debbie in K4A. It was wonderful watching the little ones learning and growing.